Over 65% of adults in the United States visited the dentist at least once in the past 12 months. That staggering statistic indicates Americans are quite proactive in addressing their oral health and this makes the United States one of the most orally conscious countries in the world. And why not? Taking care of your smile can provide you with a number of incredible benefits, ranging from higher confidence to better overall physical health. With quality dental insurance, most patients pay little to nothing out of pocket for these important services they need to keep their smiles looking great. What exactly is dental insurance? Are there any catches when it comes to being covered? Learn more about dental insurance and 7 little known dental coverage facts! 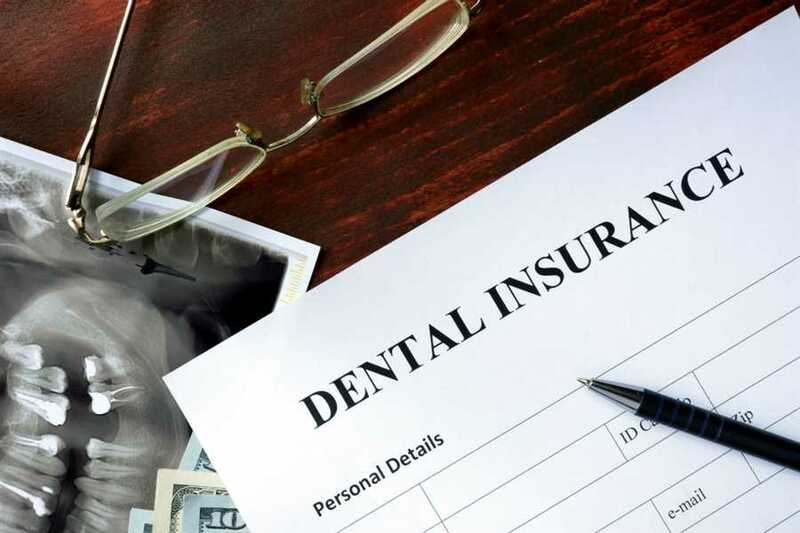 Dental insurance is very similar to other types of insurance coverage - you pay a small monthly fee in exchange for a certain amount of coverage for dental care each calendar year. The amount of dental coverage for each individual varies, depending on how much you pay into your plan on a monthly basis. In addition to your coverage amount or "plan maximums", your annual "deductible" and "reimbursement levels" are also affected by the cost of your plan. A deductible is the amount you'll need to pay out of pocket per year before your dental coverage kicks in. Reimbursement levels are the percentage of certain treatments insurance providers will cover out of your plan maximum and how much you'll need to pay out of pocket (co-pay). With dental coverage, the more you pay into your plan, the higher you can expect your annual coverage maximum to be and the less you can expect to pay in deductibles and co-pays. What Are Some Little Known Facts about Dental Coverage? When it comes to needing to manage co-pays for certain treatments, it's important to know that for standard dental treatments such as cleanings, checkups, or even fillings, your insurance provider is likely to cover all or nearly all of your treatment costs. On the other hand, you can expect to pay a higher portion of expenses for more uncommon dental treatments like mouthguards or chipped teeth. While orthodontic work is rarely covered with standard dental plans, many workplace plans have somewhere between $1500 and $2000 worth of allowances for braces. This allowance is similar to your workplace's HSA (health share account), with the difference being that it won't regenerate on an annual basis (one-time use). It is a good idea to check with your employer to see if their insurance offers an allowance for braces and how you can proceed with utilizing it. Most individuals purchasing dental coverage value PPO's because it allows them the flexibility to utilize their choice of any dentist. If you're budget is tight, selecting a HMO is a viable alternative. HMO dental plans restrict the dental professionals you can use to a certain network of partnered providers. This restriction comes with the benefit of price reductions in the form of monthly premiums and co-pays. Different dental coverage providers charge different prices for coverage and offer vastly different plan terms within their insurance packages. This same concept applies to dentists and how much they charge for their treatments. To make sure you're receiving the best deal on insurance coverage and the dental treatments you're provided, it is in your best interest to be proactive in shopping around for the best coverage and oral health provider. If you buy insurance and are anxious to address your oral health needs immediately, be aware that many plans will require you to wait a specified period of time before coverage takes effect. The waiting periods for preventive care are typically very short or non-existent. For restorative or cosmetic care, however, waiting periods can be as long as 3 months. If you have an annual allowance for 2 checkups and 2 teeth cleanings (standard), it is important to realize that these services must be used by the end of the calendar year and they will not roll over to the next year. When you don't use those allowances, you will be wasting free dental care. For this reason, it's imperative to maximize the use of your insurance coverage prior to your plan reset. If you purchase dental coverage with the expectation that you'll be able to take advantage of significant restorative and cosmetic care at discounted rates, you may find yourself disappointed! Most dental insurance plans have high co-pays for procedures categorized outside of preventive care. These plans also have relatively low annual coverage amounts which will evaporate quickly under the pressure of expensive restorative/cosmetic producers. With this in mind, it is important to consider what types of services you need when purchasing dental coverage. If your focus is primarily non-preventive care, it might be in your best interest to place your dental insurance fees in a high-interest savings account and pay for procedures out of pocket. Dental insurance is vital for maintaining good oral health and keeping your annual oral care expenses in check. We encourage you to keep these 7 dental insurance facts in mind when shopping for coverage, so you can obtain quality insurance coverage to ensure you and your family's well-being for years to come! If you're searching for an experienced dental provider to attend to all your orthodontic needs, look no further than our team at Ordahl Orthodontics. Our dental team provides a wide array of high quality dental treatment options. We encourage you to contact us with any insurance questions and let us work with you to achieve your oral health goals!